A couple years ago, Halloween season was dominated by the mysterious sightings of creepy clowns hanging out on dark city streets across the nation. It was a major deal as the national news networks ran numerous stories regarding evil clowns during that terrifying October of 2016. Of course I wrote extensively about it, and, if you know me, I wasn’t as scared as everyone else. Perhaps that is why I am…how shall I put this…intrigued by a marketing promotion offered by a donut franchise. While browsing Facebook, I found out that Hurts Donuts, a company known for making “really, really, really freaking good donuts” is also trying to make people really, really, really freaking scared. During this month, customers have been allowed to place delivery orders with a certain sadistic twist. 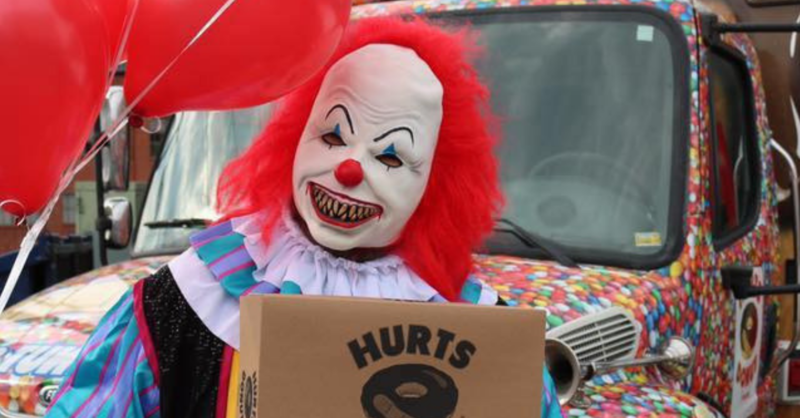 Patrons of Hurts Donuts can pay a little extra to have donuts delivered to a “friend” by a clown that looks like it came out of the movie “IT.” The clown will approach the recipient and if he/she has not fainted, the demented character will hand over a box of a dozen donuts. Hurts locations are in 19 cities and every store is participating in the promotion. 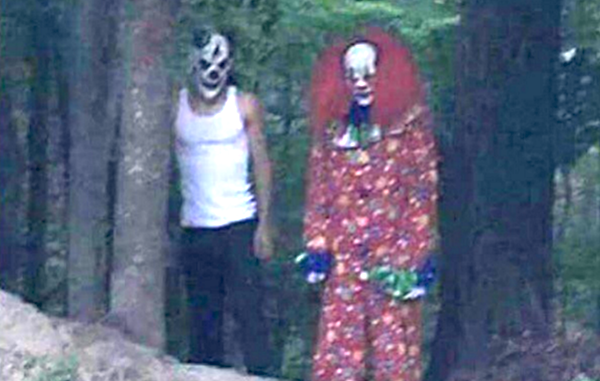 Scary clowns like this one will deliver donuts to whoever a paying customer would like. In my opinion, I think it is a great marketing tactic. In fact, it has already proved wildly successful judging by the national publicity the stunt has received. Would I like to have donuts delivered to me by a gory, unsavory creature? You bet! I love that type of stuff. But what about the people who wouldn’t like it (like my wife)? Do I think the promotion is ethical? Well, that might be up for debate. I would like to think that the people who order these deliveries do so knowing that whoever their “victim” is will ultimately be able to handle it. 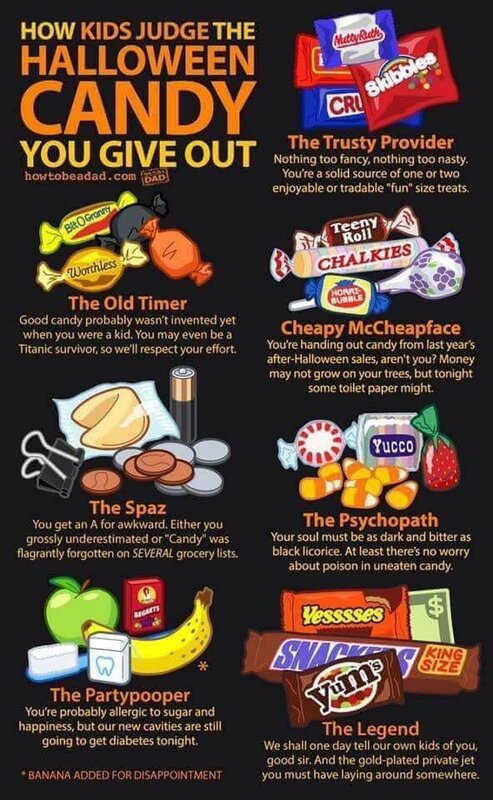 In all seriousness, it isn’t funny to unmercifully scare someone. Sending someone into a panic attack for your own personal enjoyment is sicker than the most grotesque evil clown that Hurts could ever send. In 2016, I wrote about the creepy clown phenomenon. Even if the recipient isn’t petrified of clowns and can stomach a unique prank, I would still have a concern. What about the non-recipients who will still be exposed to the sight of a hellish looking clown delivering a box of donuts? What if kids are around? It is one thing to pass judgment on whether a friend can handle something but it is an entirely different thing to not take into consideration who else the gimmick could impact. I hope to see some type of a recap on how this scary surprise played out. If Hurts was smart, they would have accumulated plenty of video coverage with the different deliveries that took place over the past several weeks. Did people freak out? Did they laugh? Most importantly, was it contained? Although a whole swarm of creepy clowns is welcome to deliver donuts to me at any time (just as long as each clown has his own box), it is the absolute last thing that many other people would want. Don’t Blink. 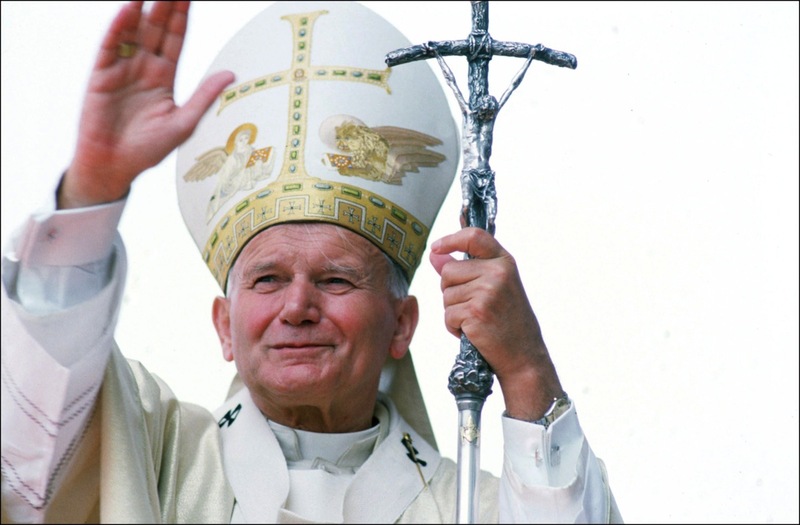 St. Pope John Paul II – Earlier this week, the feast day of St. Pope John Paul II was held. For billions of Catholics, especially those under the age of 40, John Paul has a special place in our hearts. Elected to the Papacy in 1978, he served as the head of the Christian church until his death in 2005. Thus, many of us looked up to Pope John Paul as our leader from the time we were born well into our adult lives. John Paul was a holy man who was a living example of how Christ wants us to live. Although I fondly look back on all the incredible things he did for the world, what I most remember is how people reacted when they were in his presence, especially the young. Pope John Paul II lived the life of a saint. Yay! 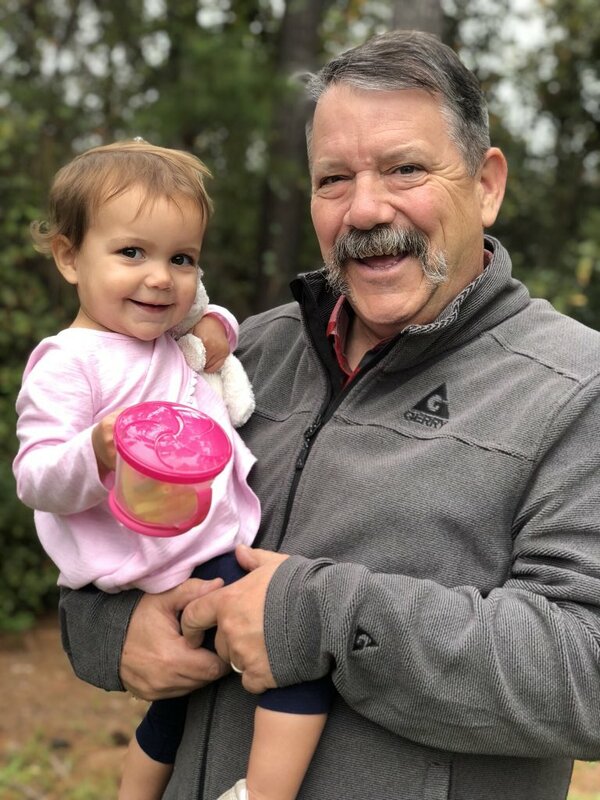 Dad in Town – My dad flew into Myrtle Beach late this morning for what has become his annual October visit (two years running). 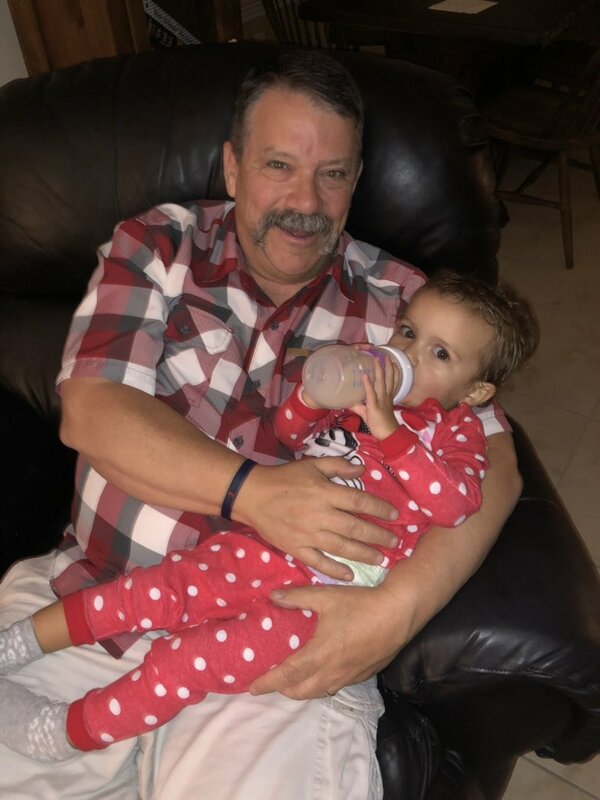 It has been 100 days since he saw Sloan and she has changed a lot! What hasn’t changed though is their love for each other. Those two seemed to pick up right where they left off. 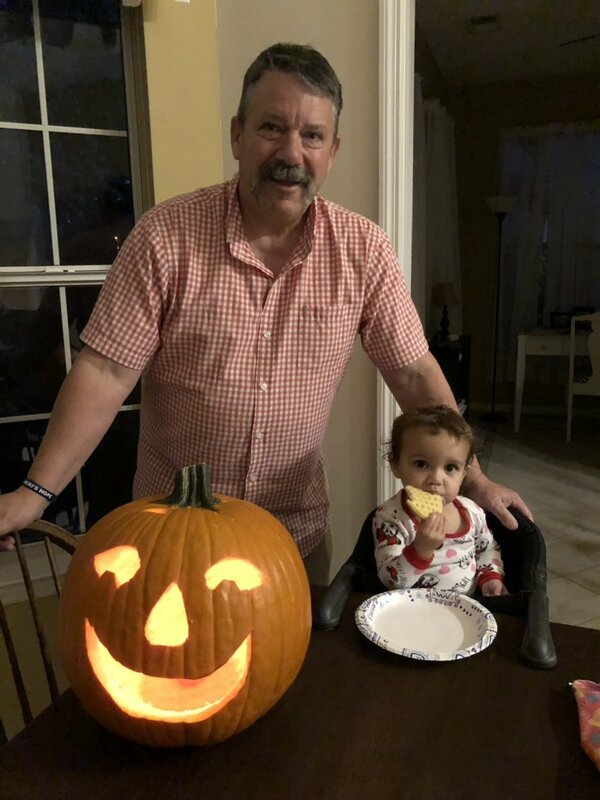 My dad will be in town through the weekend and we hope to just relax, watch some football/baseball, drink a couple beverages, and enjoy some Halloween festivities. It sure is good to have him in town. Today. 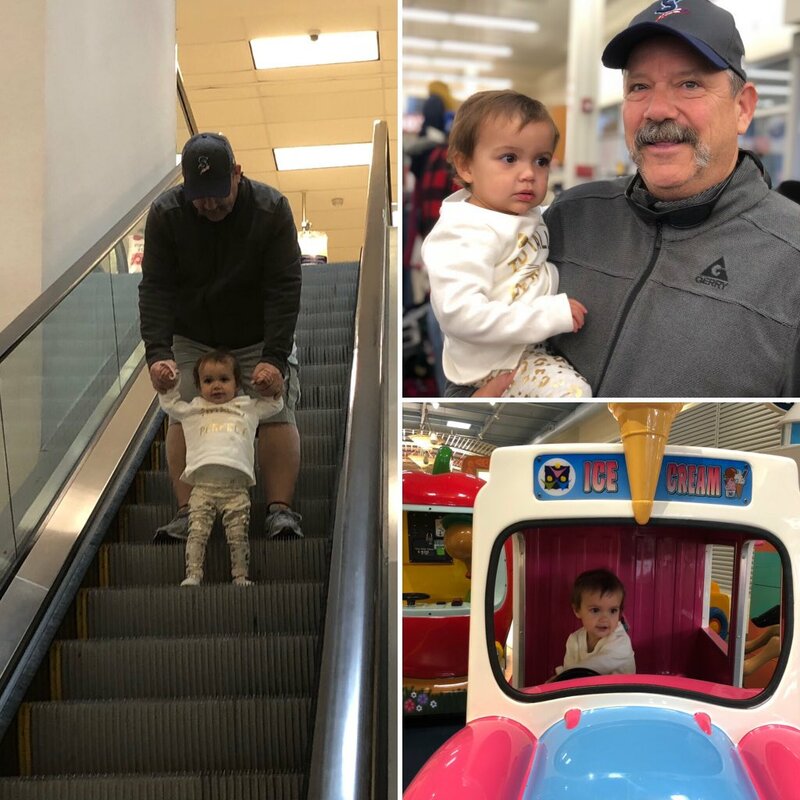 Sloan and Papa picked up right where they left off. Hammock – I talked a lot about the birthday gift my mom gave me, but how about the birthday gift that Sidney got me? She totally surprised me with a hammock! It is now set up in our backyard and it is the place to be. Sloan enjoys rocking with us and it is pretty easy to get on and off. This weekend looks to be a little wet so we might not get on it as much as we would like but it sure got good use last weekend. 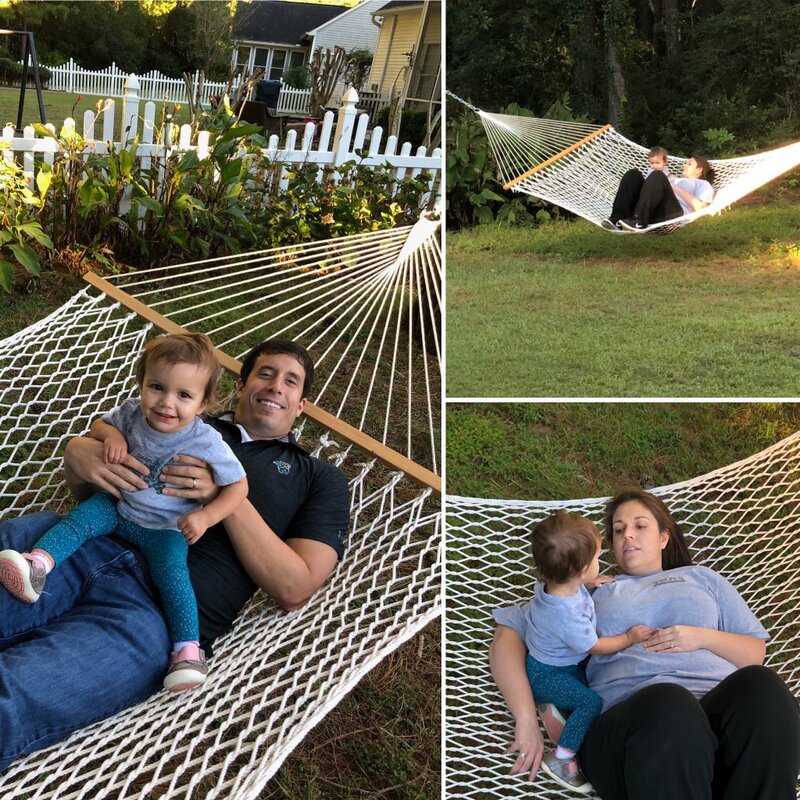 Some shots of us enjoying our hammock. 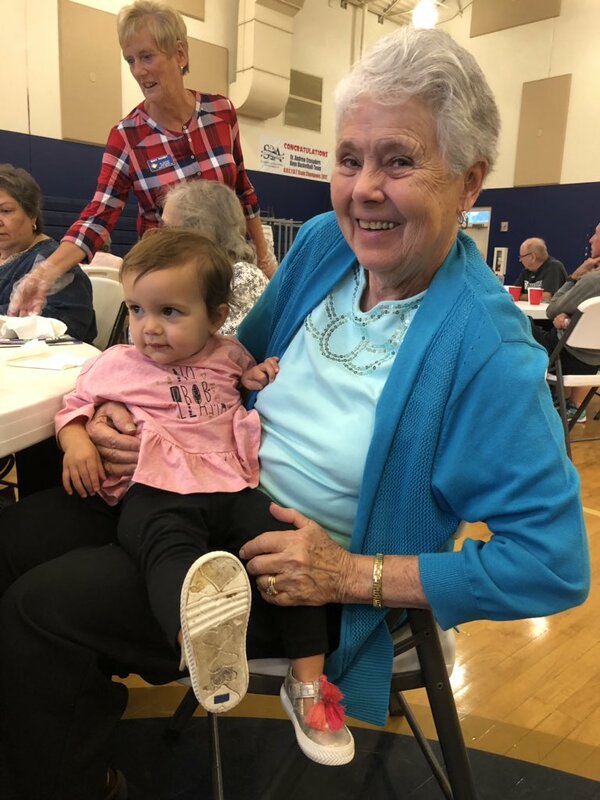 Cute Moment at Church – On Monday, the three of us attended a social function at St. Andrew. The Knights of Columbus (of which I have been a member since July) staged a chicken cordon bleu fundraiser dinner. 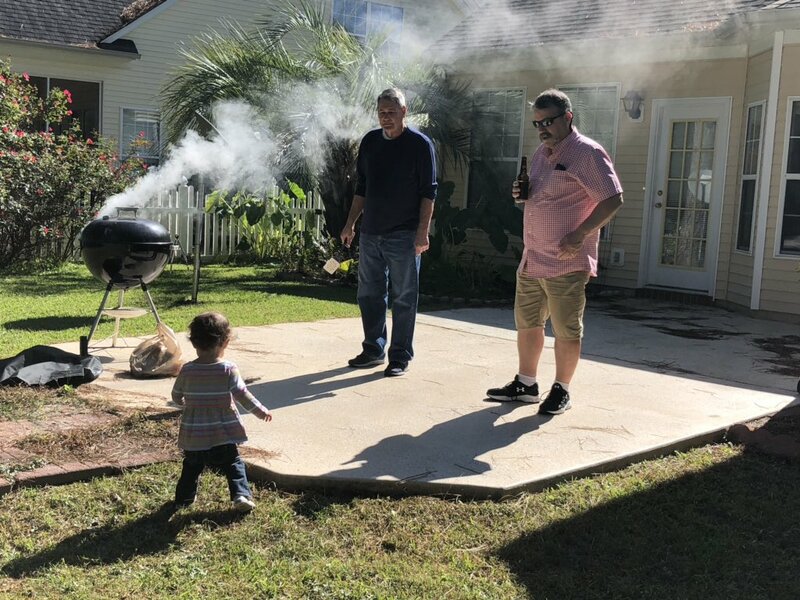 We had a fantastic time eating and visiting with fellow parishioners, Sloan included. In the middle of Sidney and I eating our meal, Sloan got up and ran right over to a random woman at another table who we didn’t know. Not skipping a beat, this gentle woman scooped Sloan right up and held her in her lap for a few minutes. I couldn’t help but take a photo of the duo. This was the nice lady who Sloan introduced herself to on Monday. 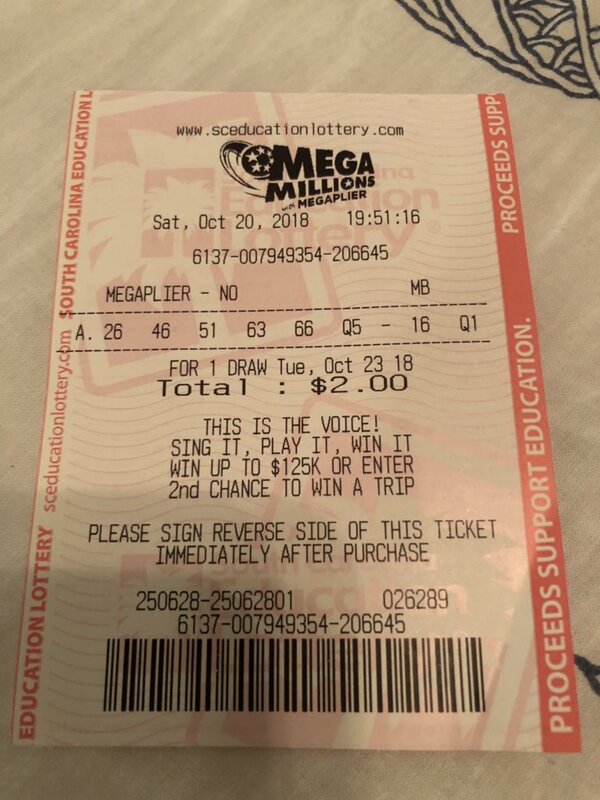 Mega Millions Perspective – I saw numerous hilarious memes regarding the Mega Millions jackpot. However, it was this public service announcement tweet that really stood out to me. I don’t need to say much more about it because it speaks for itself. As someone who does text and drive every now and then (never with Sloan in the car), it is a good reminder to stop. 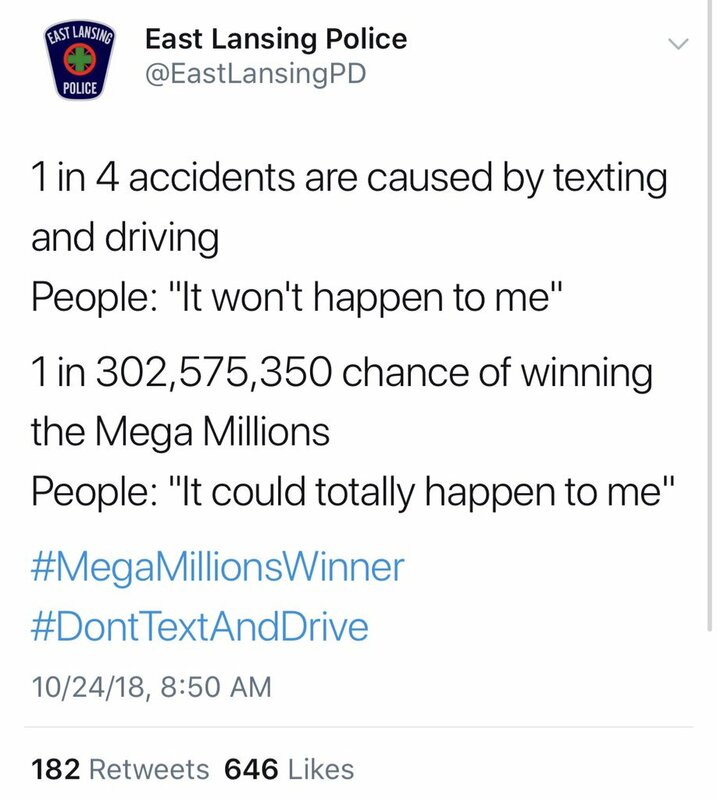 This tweet from the East Lansing Police makes a good point. A little over a month ago, I was receiving text messages from friends and family across the country about my safety. 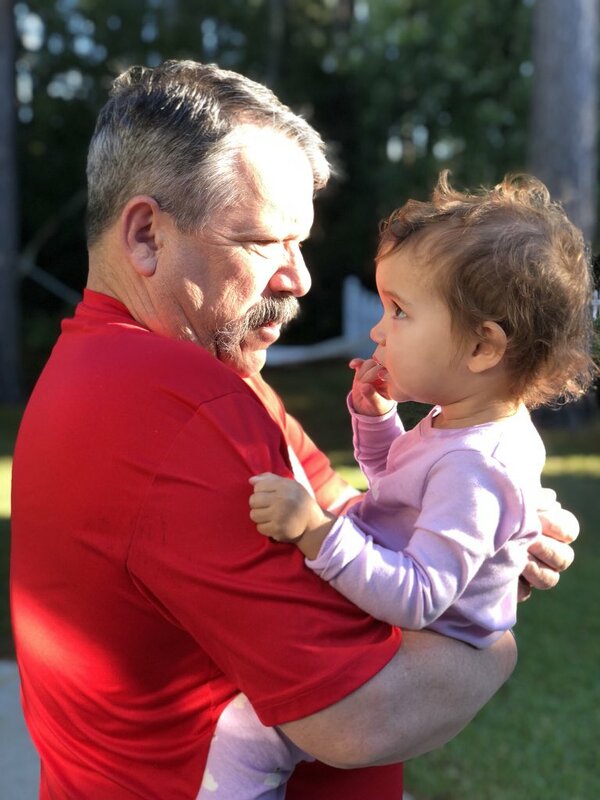 Those close to me were concerned about the possible impact Hurricane Florence could have on South Carolina. During the time of crisis, it was comforting to know that people were thinking of me. Today, I once again received text messages from friends and family across the country. Similarly, it was because South Carolina was once again in the news. However, the correspondence wasn’t about my personal welfare. Rather, it was about my possible financial fortune. I must deliver the disappointing news that I am not the winner of the Mega Millions jackpot, a prize valued at almost TWO BILLION dollars. 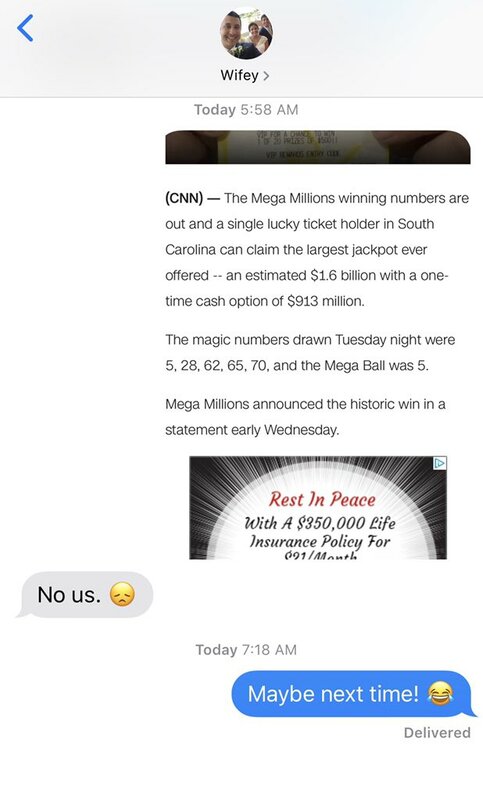 We bought a Mega Millions ticket but we aren’t taking home $1.5 billion. This morning, news broke that the winning ticket was sold in South Carolina. Before it was revealed that the ticket was printed in Simpsonville, a city 230 miles from Myrtle Beach, I politely told my contacts that while we did purchase a single ticket on Saturday night (at Sidney’s urging as I don’t usually play the lotto), we didn’t possess the slip of paper that would dramatically change the life of every person that is part of the Reser/Mathis family tree. On my way to the gym this morning, I received the tweet that the Mega Millions winning ticket was sold in South Carolina. I read the linked article and sent a screenshot to Sidney. Before looking at my phone again, I decided to exercise and let myself daydream a bit on what we would do if the unbelievable happened. By the time my workout was finished, and I am 100% serious about this, I was more scared about winning the prize than excited. The reasoning for that needs to be saved for a future blog post. The text conversation I had with Sidney this morning. I thank Sidney for giving it to me straight that we didn’t win. It would have been easy to pull my leg a bit. Even though I would have been expecting it, any confirmation from Sid that we had gotten lucky would have raised my hopes – despite the fact that I was feeling more scared than euphoric to win. My belief is that elevating someone’s spirits and then crushing them is the cruelest type of joke out there. I guess just the simple fact that the winning ticket came from South Carolina did mean we “beat the odds” so to speak. But I don’t need the Mega Millions to tell me that I have good fortune. I have a beautiful wife and a precious daughter and by my account that already makes me the luckiest guy around. Don’t Blink. To make a long story short, I asked our #CCU Instagram audience today a question about birthdays*. 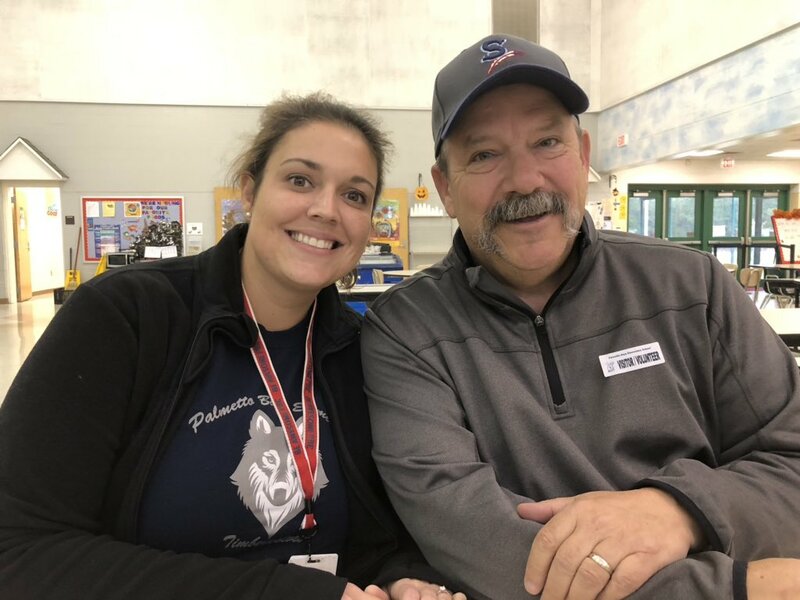 I encouraged our followers to take a stroll down memory lane and reveal the best birthday tradition that an elementary teacher practiced when a student had a birthday. – Line leader all day. – Prominent seat in a special, decorated chair. – Small birthday presents from teacher. – Donning of a birthday crown. 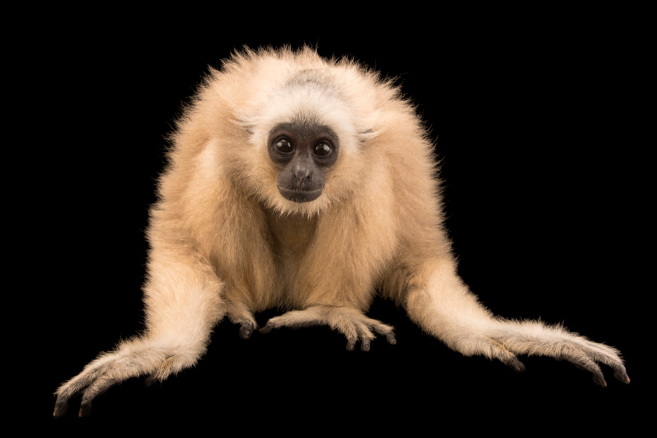 – Various privileges with the classroom pet. In Mrs. Reser’s classroom, a unique song is performed by the classmates in honor of the birthday student. I would know, two weeks ago the class Facetimed me on my birthday and performed it! As a student at Farwell Elementary in Spokane, we wrote homemade birthday cards to our fellow students on their special day. My two teachers who practiced this, Mrs. Anderson and Mrs. Pryor, would pass out construction paper to us. They would guide us to fold the piece of paper “hamburger style.” Once the form of the card was complete, we could “have at it” with our colored pencils and crayons. With Happy Birthday ________ (insert student’s name) written up on the whiteboard, we could properly address the card without fear of making 3rd grade spelling errors. We worked on our cards while eating whatever treat the birthday celebrant brought in (I always went big on my birthday). When we finished with our birthday correspondence, we would bring it up to the front of the room and place it in a big paper folder that the teacher made, complete with the name of the student written on the front. At the end of the day, the teacher would give the birthday kid his/her folder to take home. Looking back on this practice now, I see the learning component behind it. Not only did it teach us to be artsy, but it also taught us how to write in a card, something that everyone will do hundreds, if not thousands, of times. But probably more importantly, it taught us to properly recognize someone on their birthday. It drove home the point that it is the kind thing to do to wish someone well on the date of their birth. These lessons weren’t lost on me. 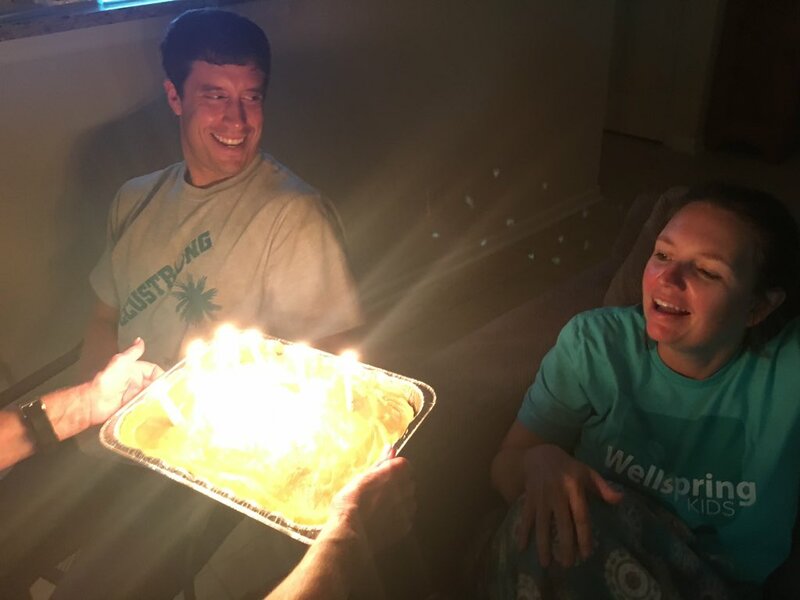 Did you have a beloved tradition that one of your teachers did when a student had a birthday? If so, let me know. I am curious to see if anyone else had a teacher that did something as practical as Mrs. Anderson and Mrs. Pryor. Don’t Blink. * – As part of a complex social media campaign called the #CCUInstaGames, every Monday we ask our audience to answer a question that requires them to reminisce about their childhood. 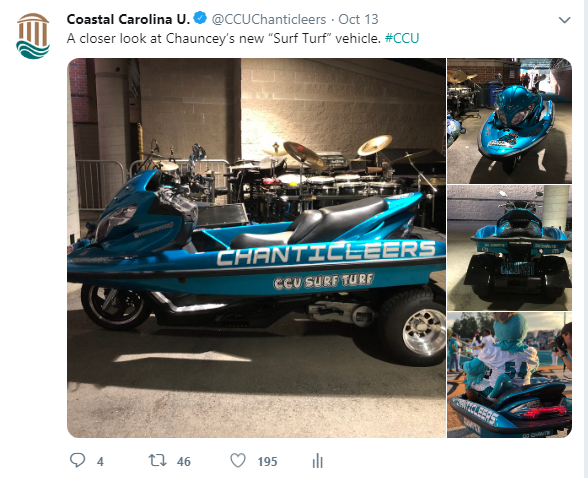 To learn more, take a look at our Instagram account, @ccuchanticleers. I love pasta. My mom, a full-blooded Italian from a very Italian family, made plenty of it for our family growing up. She used the best (and most secret) recipes from my grandpa’s Italian restaurant to make some really delicious dishes. Needless to say, I ate good as a kid and always got plenty of carbs. I love eating heavy, meaty, saucy Italian pasta. But I also like something much lighter. I have never met a pasta dish I didn’t like – no matter the noodle, the sauce, or the meat – I eat it all. 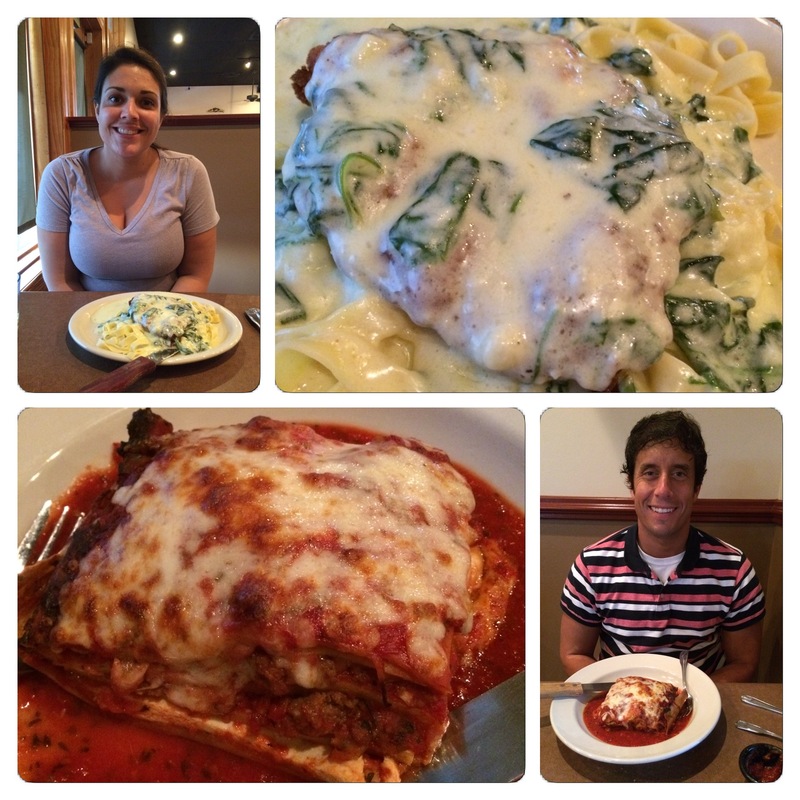 I salivate over classic dishes such as lasagna or manicotti. I enjoy all sauces, whether it be alfredo, pesto, vodka, marinara, or whatever other Italian concoction is available. I think topping a dish with meatballs, grilled chicken, or Italian sausage is a great way to consume protein and go home with a full belly. So don’t get me wrong, I thoroughly enjoy rich, heavy pasta dishes. But believe it or not, my all-time favorite pasta dish is on the lighter side. When I tell Sidney that I could eat buttered noodles for a month straight, I am not kidding. What are buttered noodles you ask? Besides the addition of salt, the name pretty much tells it all. It is by far the most basic and easy pasta dish (well, except maybe for Easy Mac) you will ever make. All you do is boil noodles and add butter and salt. It is simple but good. 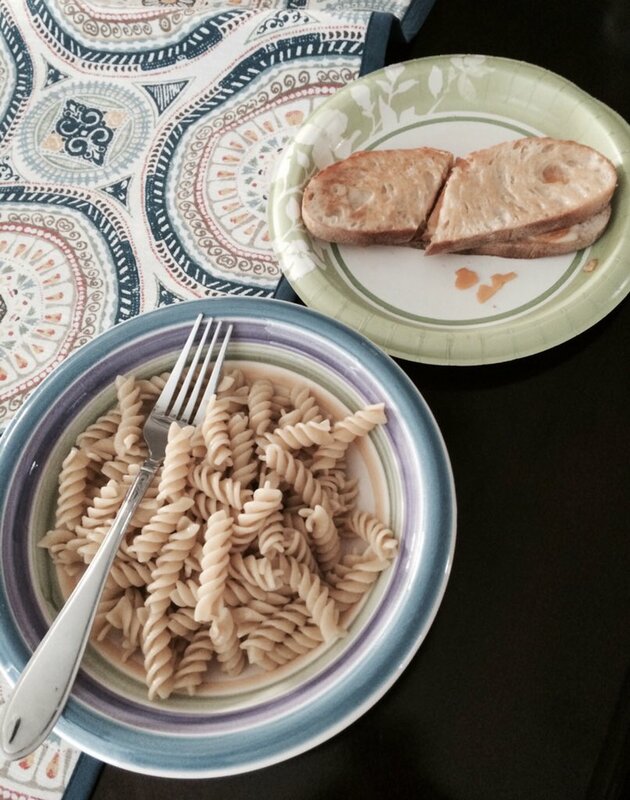 Buttered noodles that Sid made for me (with some toast on the side). My mom made me buttered noodles my entire childhood. There would be summers that I would eat them for lunch every day. When I would get home from playing my high school football games, I would request buttered noodles for my postgame meal. The light, buttery meal would always warm my soul and fill me up. I don’t think you are ever too old to eat buttered noodles. Sidney makes them for me all the time. Also, luckily for me since I like them so much, I can prepare buttered noodles for myself since it is such an easy dish to make. I will every now and then prepare a pound of buttered noodles for dinner and then have leftovers the rest of the week for lunch. During the season of Lent, buttered noodles make the perfect Friday meal. Sidney made this batch of buttered noodles too. Look at that garlic bread though! Sidney has evolved my plain Jane buttered noodles recipe a bit. She will mix in garlic and parmesan cheese, adding a little more taste to the final product. Sometimes we will add a couple pinches of pepper too. 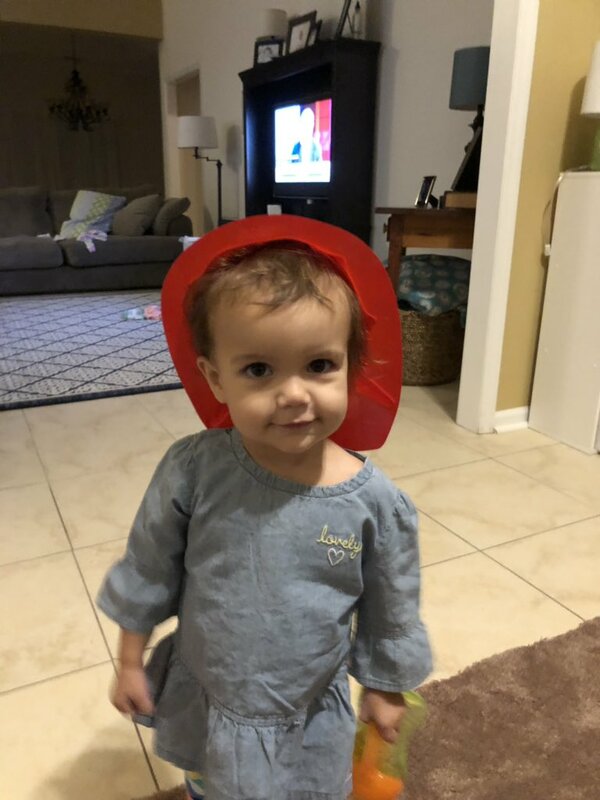 By the way, Sloan definitely is her daddy’s child – she loves buttered noodles! Sometimes simplicity wins out. 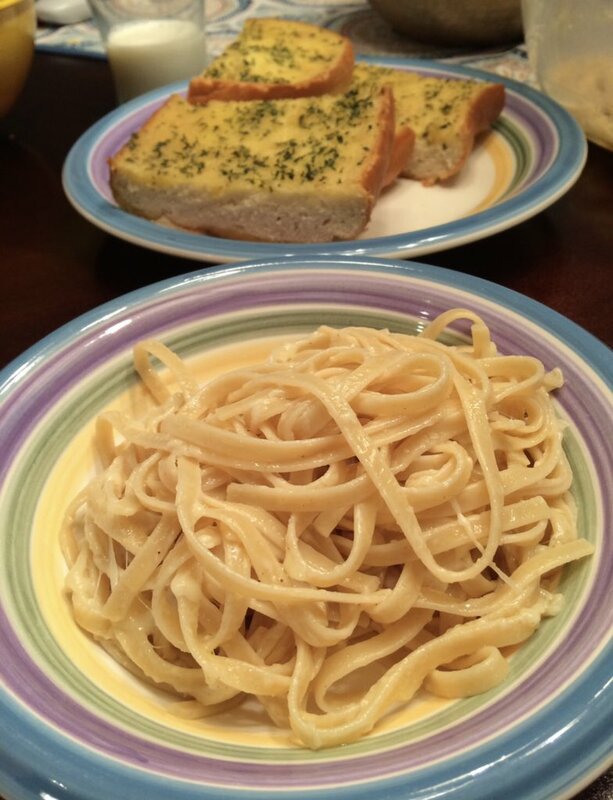 Don’t get me wrong, chicken alfredo is one of my favorites, but angel hair pasta tossed in butter never fails. Happy National Pasta Day. Don’t Blink. Yesterday, everything aligned perfectly as I was surrounded by a ridiculous amount of desserts. 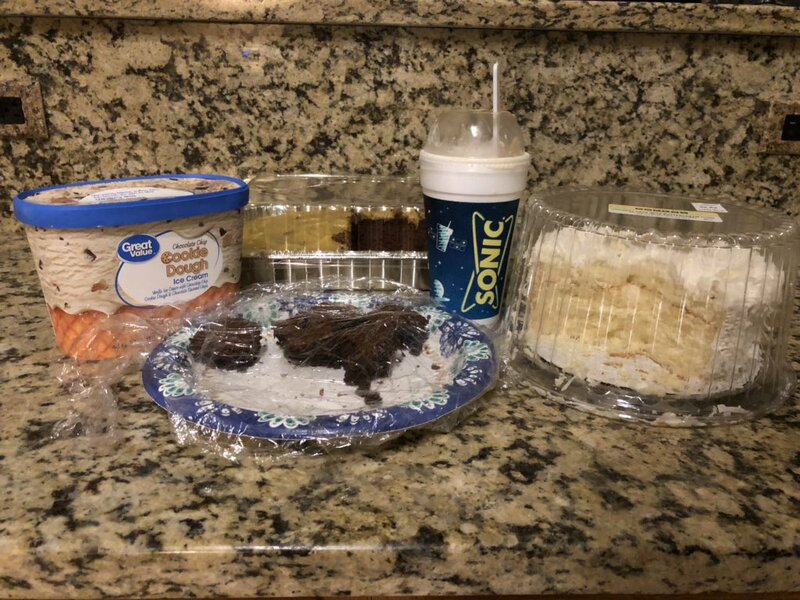 Thanks to a late night ice cream run, a birthday celebration, and a nice gesture by my student intern, I had a beaucoup of sweet treats in my kitchen. The only problem? Yesterday was October 15. International Dessert Day was on October 14. Although I would have found myself unnecessarily excited if the sugar explosion occurred on International Dessert Day, it still didn’t take away from the impressive display. Not to make anyone jealous, but I wanted to present to you the options I had to choose from at around 9 p.m. last night. As you will soon learn, a joint birthday party that was held on Sunday helped add to the impressive display of desserts at our house. 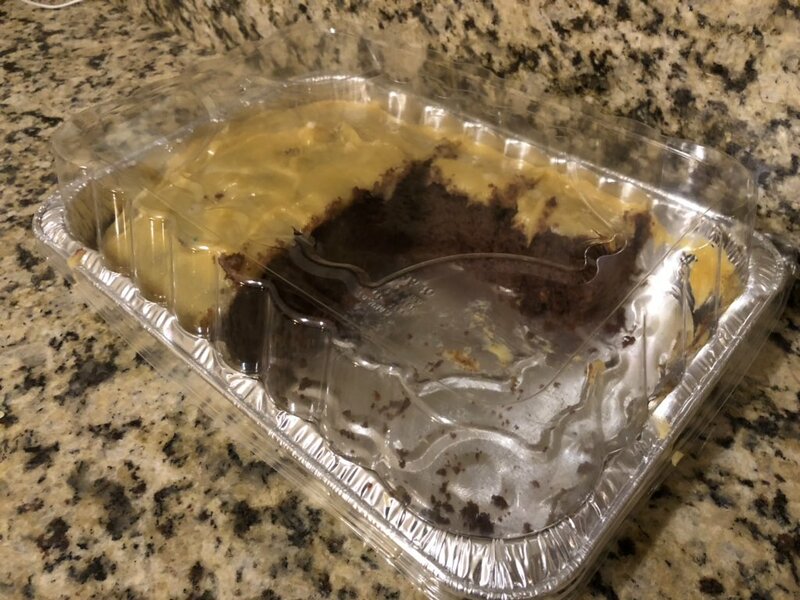 German Chocolate Cake – On Sunday night, Sid’s family had a birthday celebration in honor of my sister-in-law (October 5) and myself (October 8). This handsome, homemade German chocolate cake was made by my mother-in-law for the party. Of course I ate a piece of it that evening and it was delicious. This German chocolate cake was homemade and delicious. 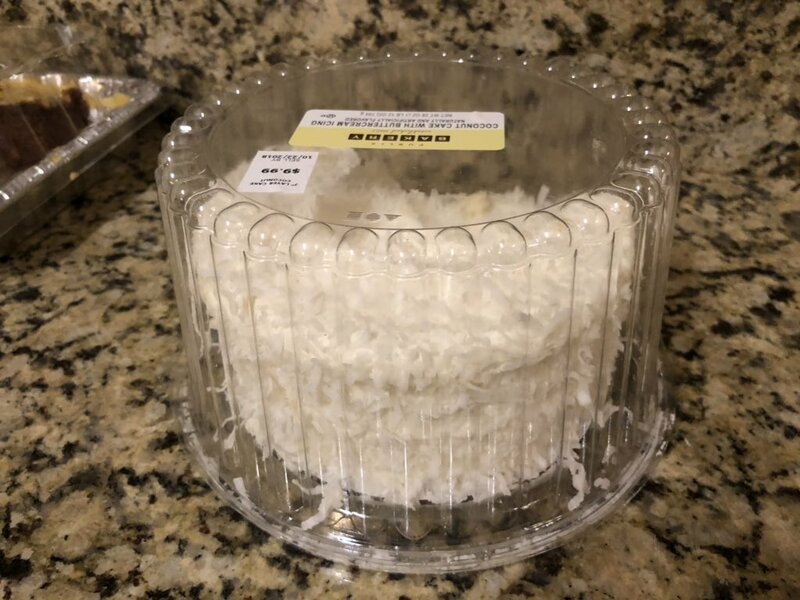 Coconut Cake – The Mathis family does it big! We didn’t just have one cake at the birthday celebration, we had TWO. Complimenting the German chocolate cake was this coconut cake. Doesn’t it look tasty? This 7” dessert was so enticing that I just didn’t eat the piece of chocolate cake on Sunday night, I ate a piece of the coconut one as well! You want to know how good it was? My wife, who hates coconut, indulged in a big piece of this particular cake and loved every bite. The coconut cake was so good that even Sid had a piece. Plate of Brownies – My student intern, Katie, surprised me with a belated birthday gift yesterday. 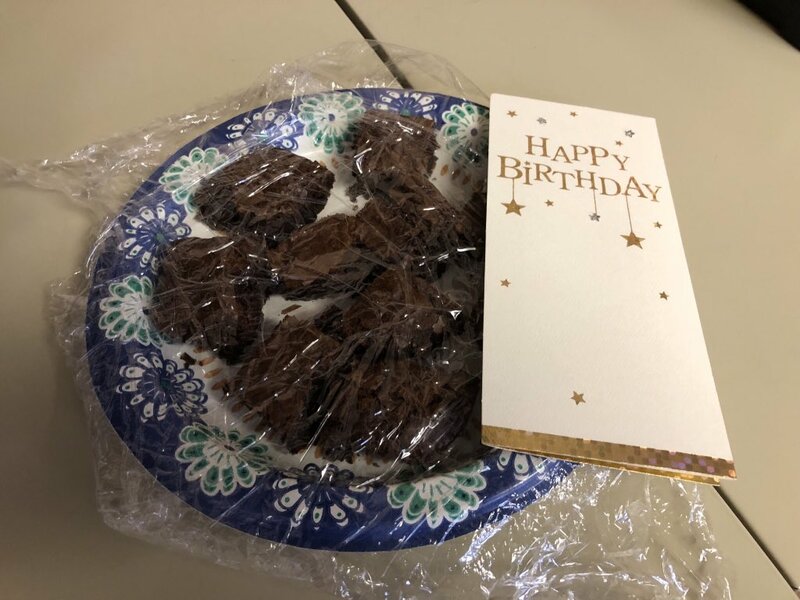 When she walked into the office she gave me a plate of homemade brownies, remarking, “You should have told me it was your birthday.” They made my office smell good all day long and I made sure to share with my co-workers. I still had plenty to bring home at the end fo the day. Thank you, Katie, for these delicious brownies. 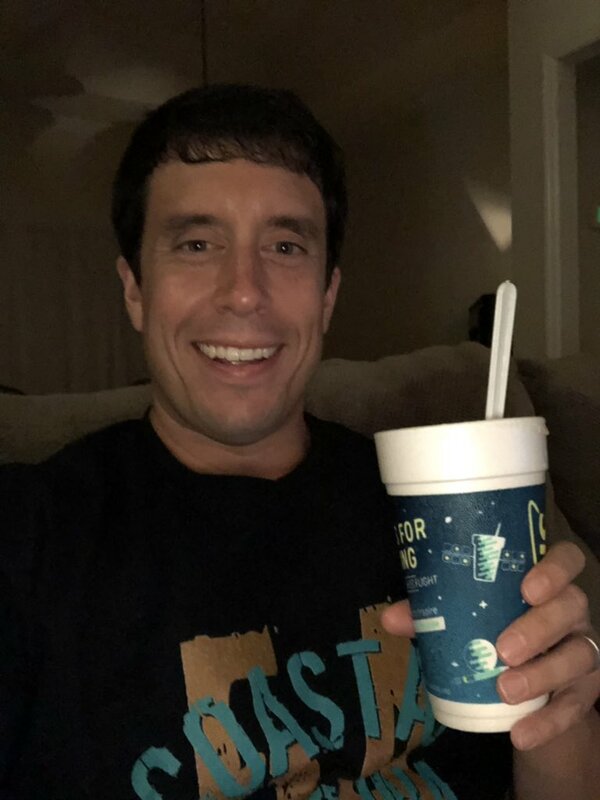 Sonic Blast – After I worked the Coastal football game on Saturday night, I decided to bring home a late night treat for Sidney and I. Stopping at Sonic on the drive back to the house, I ordered two medium chocolate chip cookie dough Sonic Blasts. Holy cow, you mean to tell me that what you see below is a medium?! We watched TV and enjoyed our Blasts. 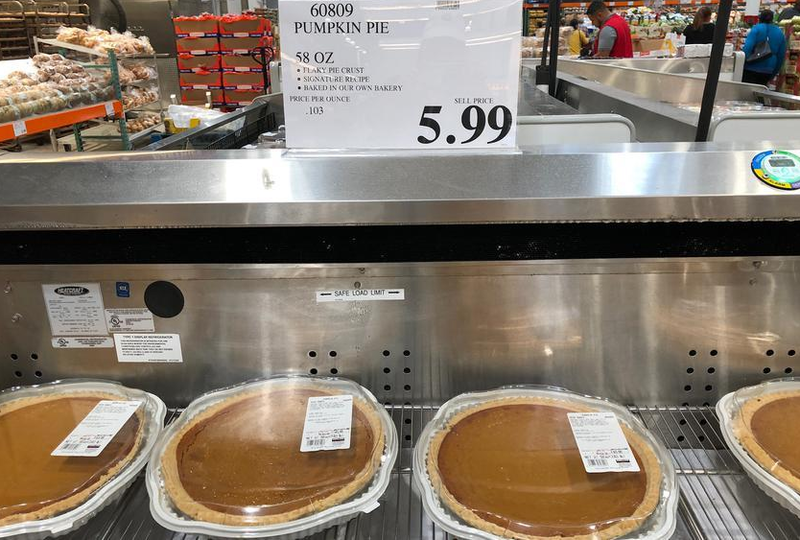 I ate half of mine and threw it into the freezer, thinking I would eat it on Sunday (forgetting for a split second that the birthday celebration was taking place that evening). Sonic makes really good ice cream! 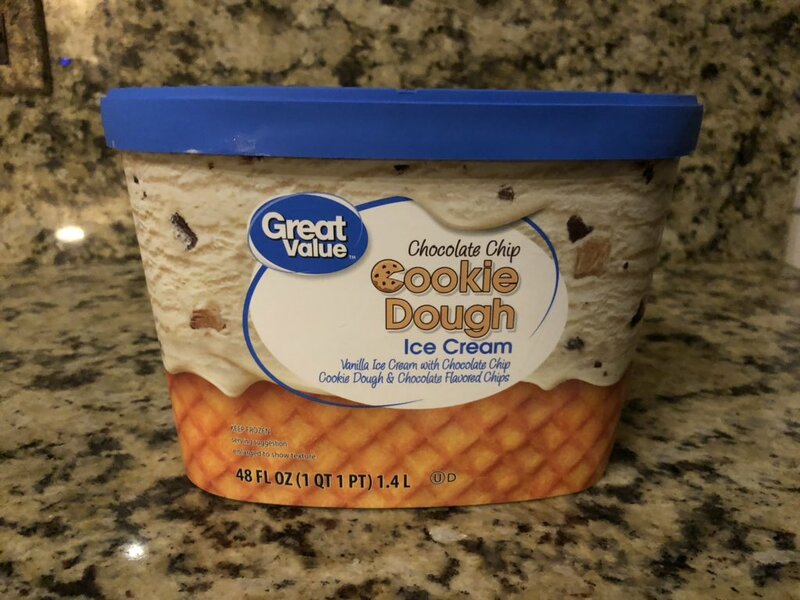 Great Value Chocolate Chip Cookie Dough – It is a surprising fact that the Great Value chocolate chip cookie dough ice cream is the best of its kind on the market. Thus, it is necessary that Sid and I always have a carton avaialble at our house (along with a box of cones). You can never go wrong with a scoop or two at the end of the night. This is the best chocolate chip cookie dough ice cream you will find. What an impressive lineup of desserts! None of them, I have a dentist appointment this week! Well, of course that is a lie (not the dentist appointment part). I definitely didn’t hold off as I selected the Sonic Blast. 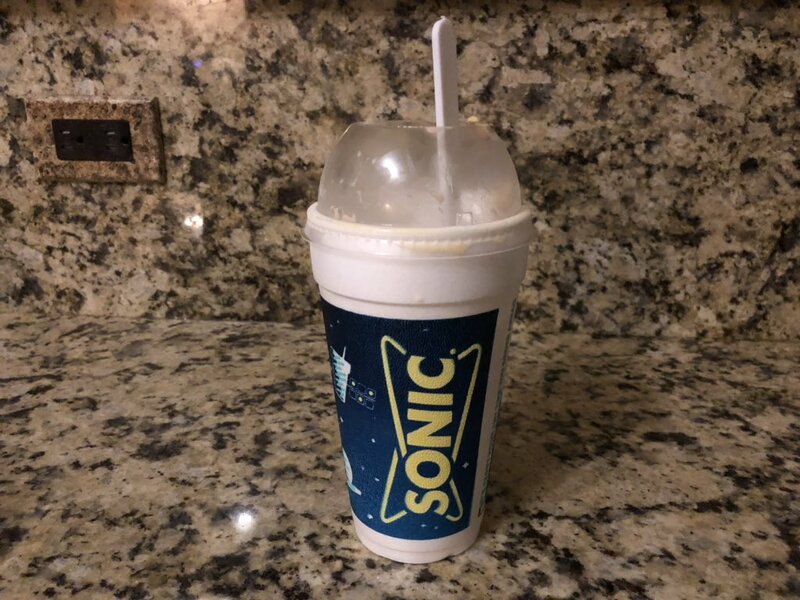 I love Sonic ice cream and I knew if I didn’t finish it off, it would get way too freezer burnt. I put it in the microwave for 20 seconds and it tasted just as good as it did over the weekend. I think I made the right choice going with the Sonic Blast. Did I make the right choice? Let me know! Hope you have a good night and if you are looking for some dessert, you know the house to go to! Don’t Blink. As we were perusing the store, I ran into a co-worker. I showed her the costume and she remarked that the key to getting the most out of these annual purchases is to wear them year-round. I couldn’t agree more. 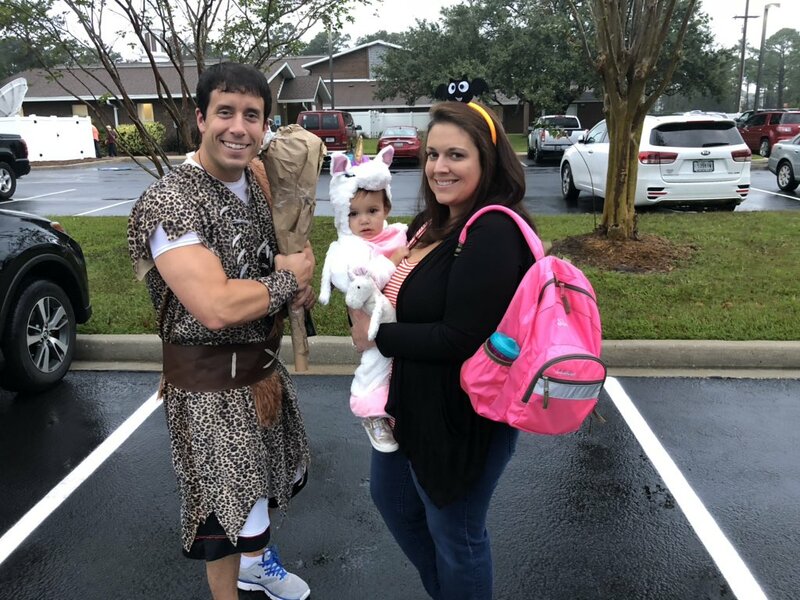 The co-worker explained that her young son found ways and excuses to wear old Halloween costumes during non-October dates. While she was saying this, Sid was nudging me in the side. 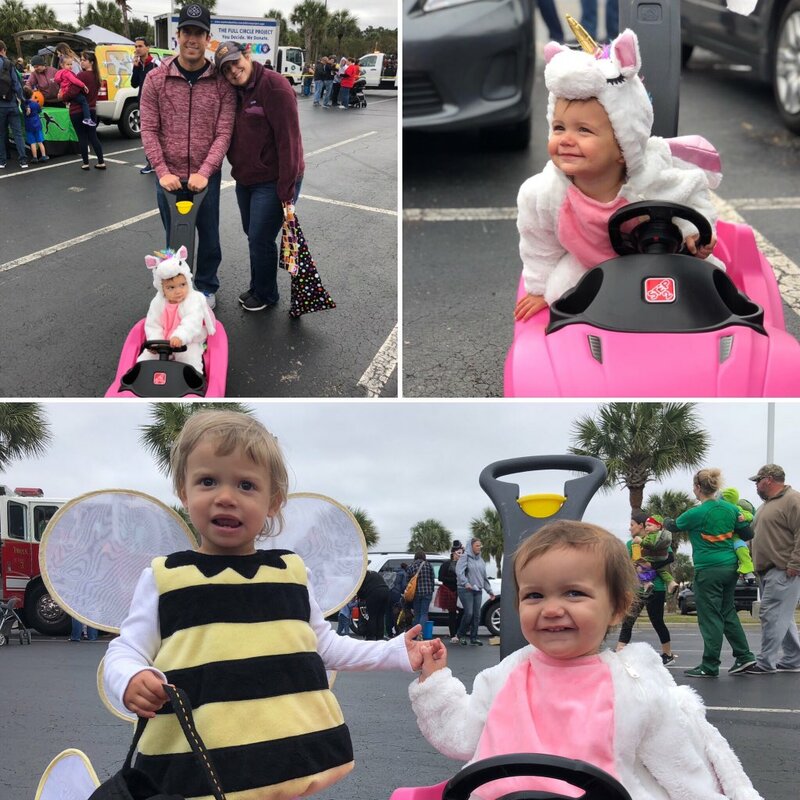 My wife related to what our friend was saying, noting that her nerdy husband (based on old photos and what her mother-in-law told her) wore Halloween costumes way out of season as well. Of course that is a lie. Dressing up in costumes on random days didn’t stop after I turned 10. In fact, it ran well into my high school days. I had an alien costume that I would don, much to the enjoyment of my friends, up until I left the house to attend college. Not that going to an institution of higher learning made me mature; I still took the opportunity to put on ridiculous outfits during the offseason. I guess it goes without saying that the habit lasted well into adulthood, evidenced by my holiday message tradition that would require me to dress in outlandish costumes. But, with the ending of my holiday messages, I have started to act a little more my age. For over a decade, I staged over the top photos to accompany holiday text messages. 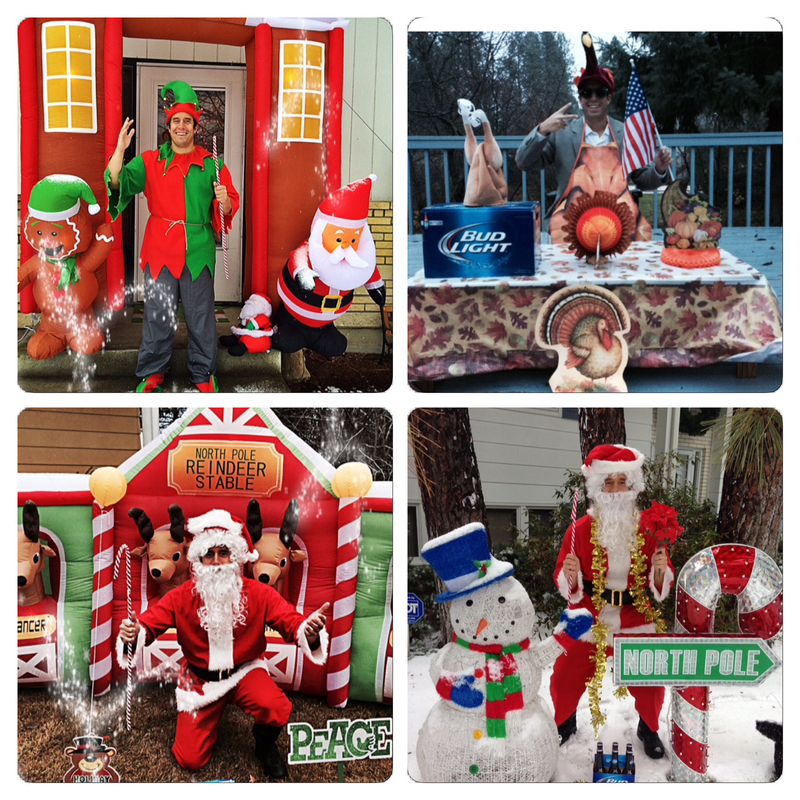 My Christmas Eve photos were always a little wacky. Oh my, what did I do here? I was not trying to discourage you from allowing your children to play dress up. I know the last thing you want is for your kid to turn into an adult with an inclination to wear old Halloween costumes and embarrass himself. But in reality, I just wanted to get you the most bang for your buck. Purchasing an elaborate Power Rangers costume might seem a little unnecessary for just one night but if your child can get hours and days of post-Halloween entertainment out of it, perhaps the investment is a sound one. Happy Halloween costume hunting! Any guesses on Sloan’s costume? Don’t Blink. Good evening to my loyal readers. Thank you to those who reached out this week to wish me a happy birthday, you are all too kind. Let’s get started with the Thursday Rundown. Five Great Birthdays – I shared this image on Instagram (@brentreser) but I feel it is blog-worthy as well. This collage contains a photo of each birthday I have celebrated with Sidney over the years. 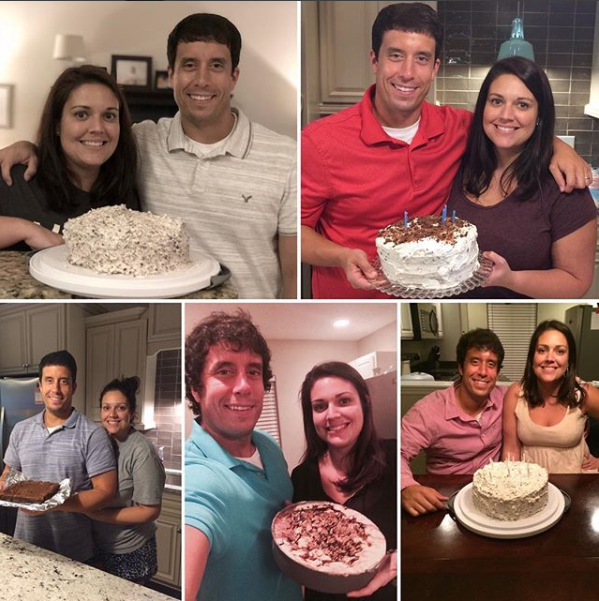 I have made it a point to snap a picture each birthday to not only show our progression through time but to also illustrate what an incredible baker Sid is! This collage shows the photos from my five birthdays that we have spent together. The upper left hand image was taken on Monday night. 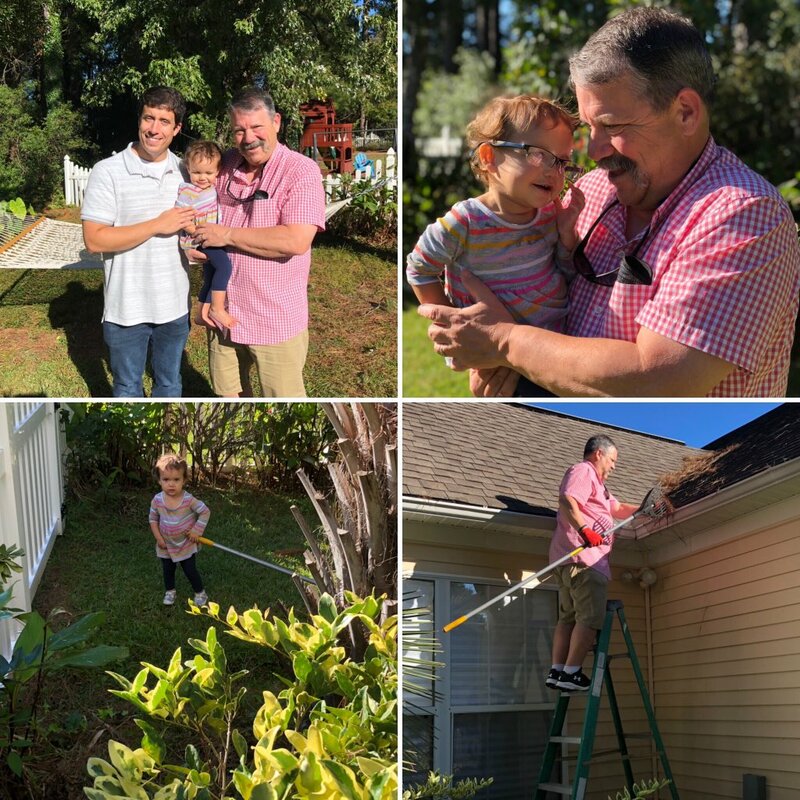 Hurricane Michael – I am so saddened by the unbelievable destruction in Florida caused by Hurricane Michael. It is sobering to try to comprehend the complete annihilation of communities. Not that it matters, but as a byproduct of Michael, we experienced tropical force winds in our area today. The gusts were so strong that Horry County Schools once again had to cancel classes. Just hours before the decision to shut the schools down was made, the revised academic calendar with makeup dates was released. Undoubtedly, there will soon be a new revision coming out. Not that Sidney wanted another day off, but she enjoyed the one-on-one time she had with Sloan in the morning and afternoon. Please pray for everyone in Florida. Group Presentation – As you may know, I present to different groups quite frequently on various social media topics. Most of the time, I do these presentations solo. That changed yesterday when I had the pleasure of presenting with colleagues at a conference for the South Carolina and North Carolina Chapters of the National School Public Relations Association (SC/NSPRA and NC/SPRA). Made up of public information officers from school districts across the Carolinas, the chapters asked CCU to present on how we use video to tell our University’s story. It was a compliment that these professionals recognized the great work we are doing and it was a distinct pleasure to present with my co-workers and superiors. Our digital journalist, external communication coordinator, and our two University Communication vice presidents all shared the stage with me. I presented specifically on how we leverage video on social media. Piecing together a group presentation was a great lesson in teamwork and our efforts paid off. The public information officers had plenty of praise and questions for us after we concluded our session. 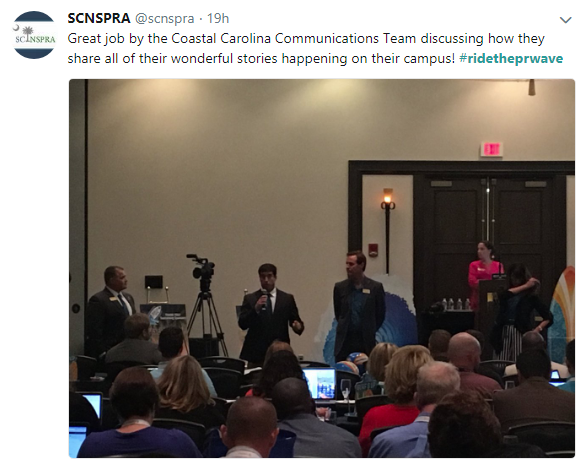 This tweet from the SCNSPRA Twitter account captured me answering a question. 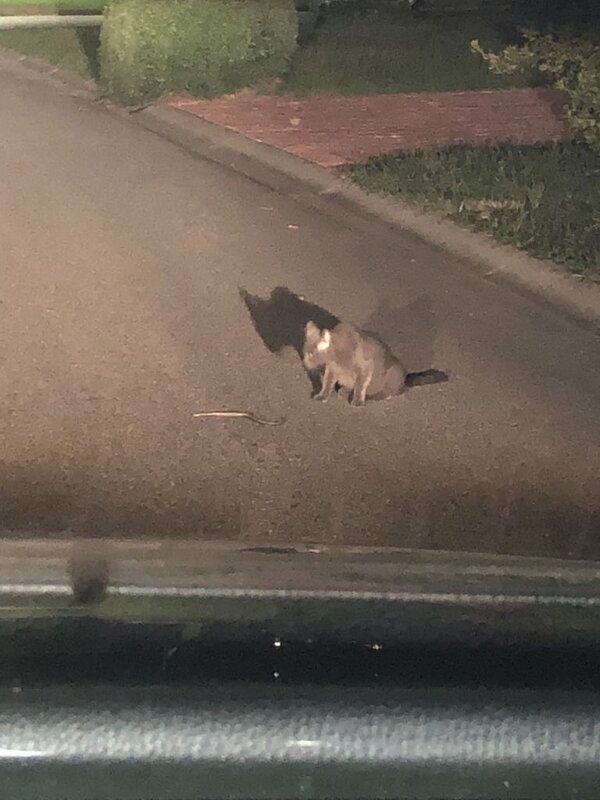 Cat and a Snake – Driving home the other night, I couldn’t help but stop in the middle of our street to watch a cat harassing a snake. Sid pleaded with me to keep driving to our house but for me it was one of those things you couldn’t turn away from. It must really be Halloween season! A photo of the cat playing with the snake on Tuesday night. The things that amuse me! 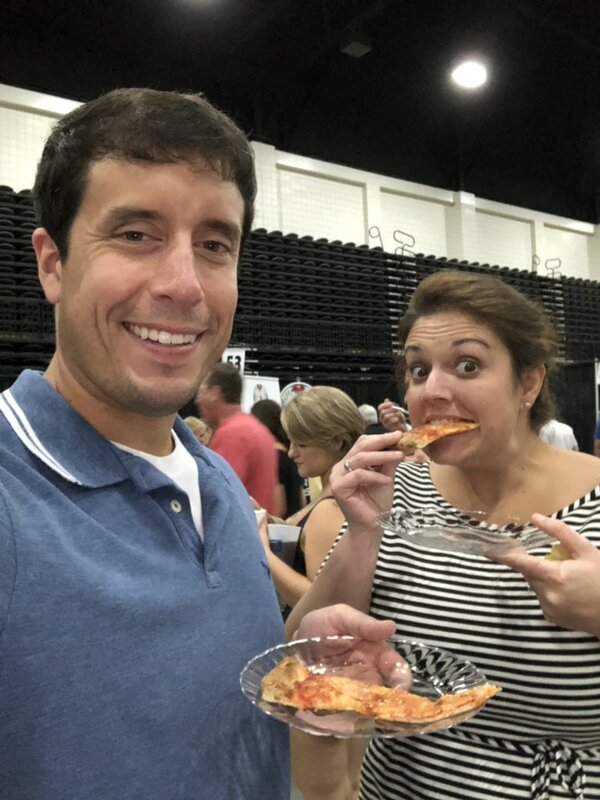 – Sidney and I attended Taste of the Town on Tuesday night. 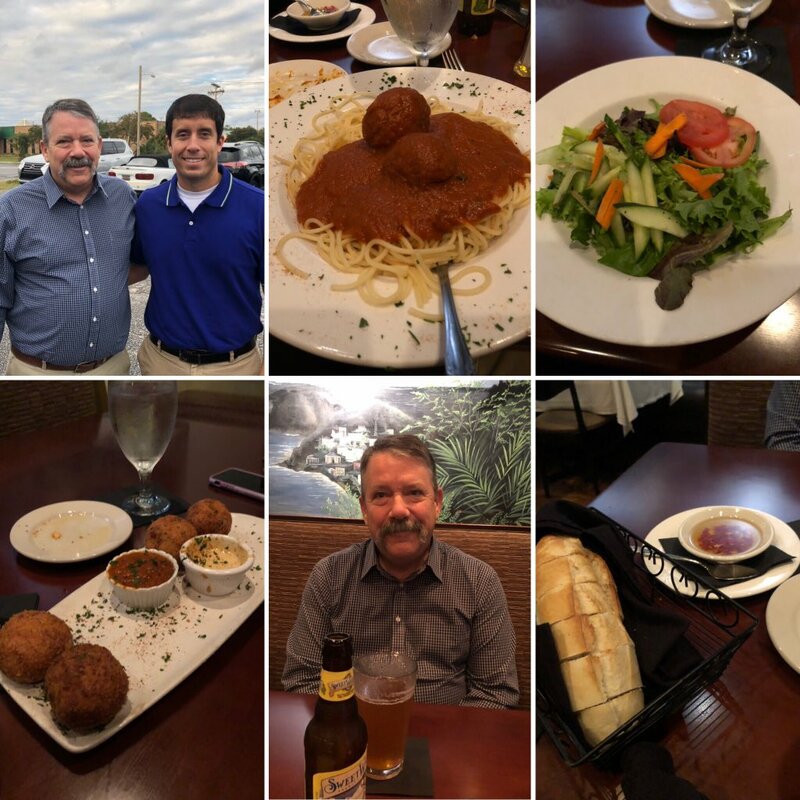 It was once again a wonderful evening of delicious food and socializing. I always feel such pride in our St. Andrew community for putting on such a large and successful fundraiser. – While I specifically asked for my Ancestry kit, I was given the perfect surprise birthday gift from my wife. Sid gave me a hammock! I mentioned to her several months ago that I always wanted a hammock but I didn’t know she was taking notes. With a big back yard with plenty of trees, this gift is going to work out great! – We still don’t know what Sloan is going to be for Halloween but we will entertain any ideas that you might have. Speaking of Halloween, our neighborhood has some houses that are totally decked out for the holiday (much more intense than the previous neighborhood we lived in). Can’t wait to show some of them off. – Four years ago on this date, I watched a Clemson vs. Louisville football game from the sidelines of Memorial Stadium. My friend Kenny, who happens to be the nephew of Bobby Petrino, scored Sidney and I the passes. We had such a good time. – I once again made it a point to personally respond to all of my Facebook birthday wishes. I have done this for a long time and I have actually explained in depth why I do it. Sidney and I at the 2018 Taste of the Town. Once again, the St. Andrew community put on a great event. Florida. Florida. Florida. Let us continue to think about those people and pray for them. Don’t Blink.